Welcome to anyone joining from the Blog Hop this week! 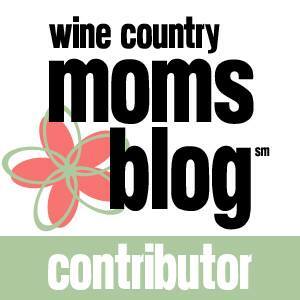 I am really enjoying the opportunity to "meet" so many other bloggers and get to know you a bit. Even though I've never felt more like an adult than I do right now, with two tiny humans depending on me, I still have a significant amount of growing up to do. Luckily, with a new year just begun and with the season of Lent upon us, I am in a mindset to take time to make some changes. When my daughter, my second child, arrived last Spring, something shifted inside (yes, I've written about this before, and yes, I'm still wrestling with some things - aren't we all?). I stopped caring so much about what other people thought, but I still have a whole host of other issues to address. My current issue? 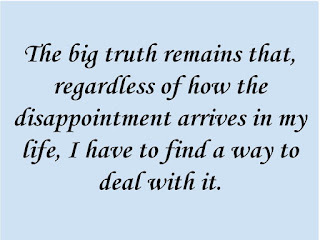 Dealing with disappointment. There are little struggles everyday - the friend who has only been in touch once since my daughter arrived, the business collaboration that doesn't look like it's actually going to happen, the walk with my son that turns into a whine-fest - and I'm terrible at handling them. In the moment, I'm fantastic, gracious even. It's in the later moments, when I'm reflecting on my day, when I'm thanking God for some things and asking for help with others, that the disappointment sinks in. It piles up quickly, and then I'm annoyed - at the situation, at the people involved, at myself. I start to plan how to deal with this - I'll unfollow the business that isn't responding to my messages (if I can't see the partnerships they are forming, I won't be as annoyed). I'll maybe unfollow a few other people...the friends who have stopped contacting me (if I don't know they are out doing things I would love to be included in, I won't feel as sad). I could stop and blame social media - there's some truth to that - what I don't know can't hurt me, and social media makes me know everything. Is it any different than high school? Everyone was invited to the party last weekend. Funny, my invite must have gotten lost in the mail. Even without social media, in my little valley, I'd know about these things, and even without knowing what they're out doing, I'd miss my friends who have wandered down different paths. 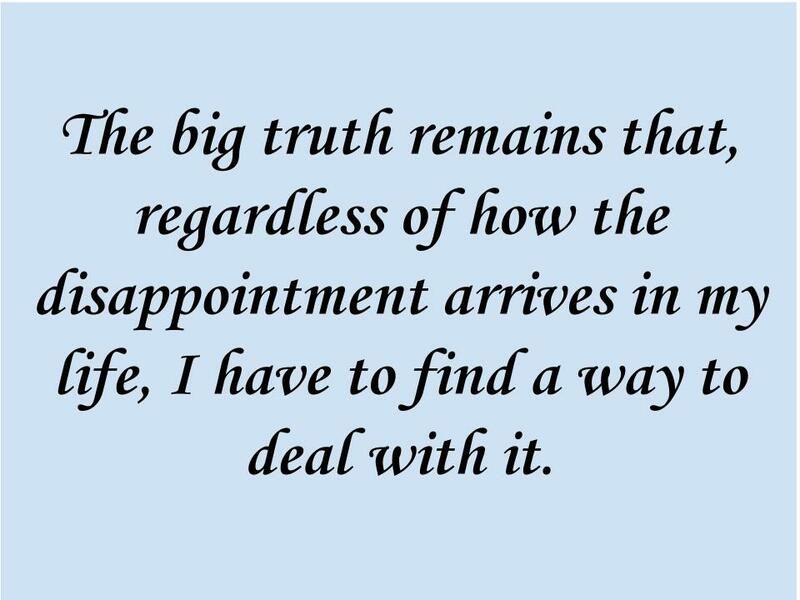 The big truth remains that, regardless of how the disappointment arrives in my life, I have to find a way to deal with it. I can pause, reflect, figure what exactly went wrong. With friends or business contacts who disappear, sometimes I won't get a clear answer. I can only reach out so many times and get ignored so many times - then it's time to move on, time to grow up. With my children, I can work on finding the balance between what they want (stay at home in pajamas on weekends) and what they need (exercise, sunshine, to liiiiivvvveee). In the big picture, I can take to heart what I tell my students all the time, I can't control other people, I can only control myself. How do I control myself? How do I make this leap and simply mature? Right now, I don't know. I do know that I'm working on it, and for now, that's got to be enough. What are you working on in your life? How are you approaching it? I am trying to work on not caring so much on how I stack up against others so much...so I hear you about the social media thing making it harder, and focus on improving and learning and to be grateful for moving forward - for progress. It's so hard - I know my only competition is myself, but that's hard to believe all the time! Mostly for me right now, it's balancing and time management. I think I am always trying to balance the everyday things I do. At the end of everyday, I'd like to think that I got the most out of myself and my day. I don't want to have regrets such as wasted hours or hours that weren't spent in a positive, moving forward, fashion. Oh, I hear you! I'm working on enjoying what I'm doing at any given time instead of worrying about the other things I could or should be doing! Yes! This is so true. I truly believe that comparison is the thief of joy and one of biggest causes of disappointment (that, along with unmet expectations - which usually again stem from comparison!) I've been working this out in my own life as well and I think you're right - we can't blame social media or others for the way we feel. I'm daily working toward that own balance in my life! I've been making a gratitude list of all the blessings I'm grateful for, and that sure helps when life throws disappointments my way! Good idea - I try to keep a gratitude journal and need to get back in the habit. I'm trying to get my coaching certification despite my husband being 100% against this path. That's a tough one - spousal support is so crucial. I hope that you're able to keep working towards your goals! Right now I'm working on respect; that was my word for 2016.Which means cutting my husband some slack when he doesn't do things my way (or does dumb things like leave the garbage within my dog's grasp -- will the man ever learn?). It can hurt when friends disappear and business doesn't work out, though. Been there, done that. But you're right, you can't control what other people do. You have a great goal - I've read a lot about how we need to stop treating our spouses like children...that's not always easy! Comparing ourselves to others, or worrying about what others think. I believe is something we all struggle with from time to time. I think you nailed it when you said, we control others, but we can control ourselves. I find in my own life, If I control my actions, my attitude then even others around me follow and before I know it my good day, is now helping give someone else a good day. We live in an imperfect world, with imperfect people and I think we just have to find the respect for ourselves to make the best out of every situation we can, even when it's hard at times or live throws us depressing times. The great thing is, not one of us is alone in it! Great point - we can lean on others and learn from others but don't have to compare ourselves to others! I've seen a number of friends come and go over the years. Especially those years between high school graduation and college. The older we get the better our relationships become. Also, my friendships are different. We don't always hang out like the friendships of my younger years. It's about certain days or events more than anything. You'll find your place in it all. It can be hard though when you find yourself caring too much about people when they may not care as much about you. Good points! Friendships do change so much over time - I'm learning that as I watch my preschooler develop his own friendships, too. Dealing with disappointment is very hard and I find that I have to honor my feelings. If I'm bummed, that's ok. I find that when I take notice of what I'm feeling, and allow myself some time to feel that way, it makes dealing with it a little easier. We're allowed to feel down about everything you described. It's ok. I think if we honor how we're feeling in any given moment, rather than fight it and tell ourselves we shouldn't feel that way, it gets a little easier to deal with it and move on. At least that's what I'm finding as I get older. I'm allowed to feel however I want and when I give myself that space, I can feel the feelings and then move on. It's like a form of closure on something. That's another downfall of mine - and when I push it all too far down, it all comes running back out at just the wrong time! Wonderful post! Disappointment is hard, it is something I have also had to work on. One thing I learned was that having those feelings are okay as long as I don't let them control me. They are your feelings and they are okay to have! It does seem kind of silly saying "oh I will unfollow so and so" but in all honesty, there is some truth to it! Social media can rule our lives too much. I find "following" some people becomes an unhealthy obsession or makes me feel bad about myself. I have to work on being on social media less often and living in the moment. I'm working on it! I haven't missed anyone I've unfollowed - so I'm going to keep on that path when I find myself having some unhealthy emotions/issues! Wow! I share so many of these feelings and find myself questioning my reactions constantly. I've been trying to focus on the good things too and have started "unplugging" more and concentrating on the friends and family that are there for me. Hang in there! Thank you - I'm working on cultivating my "tribe," even that looks different than it did a few years ago. These feelings are hard to overcome. I find myself the most disappointed when I am in a depressed mood...which then takes me a bit to get back out of. Focusing on the positive and good things in your life can drive out the disappointing ones... Keep your head up! Oh, yes, this is so true. I try to keep a gratitude journal - I fell out of the habit and getting back into it makes such a difference for me.